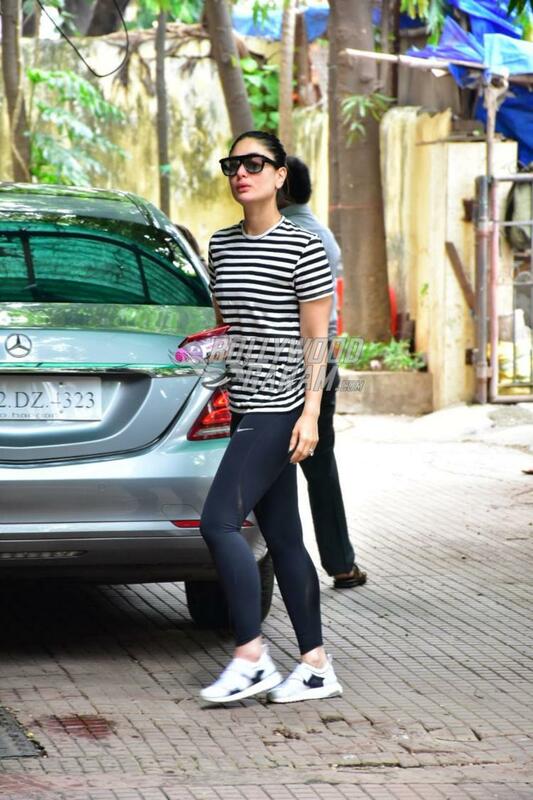 Bollywood divas Kareena Kapoor and Malaika Arora are known for their regular fitness regimes and seldom miss their workout schedules. 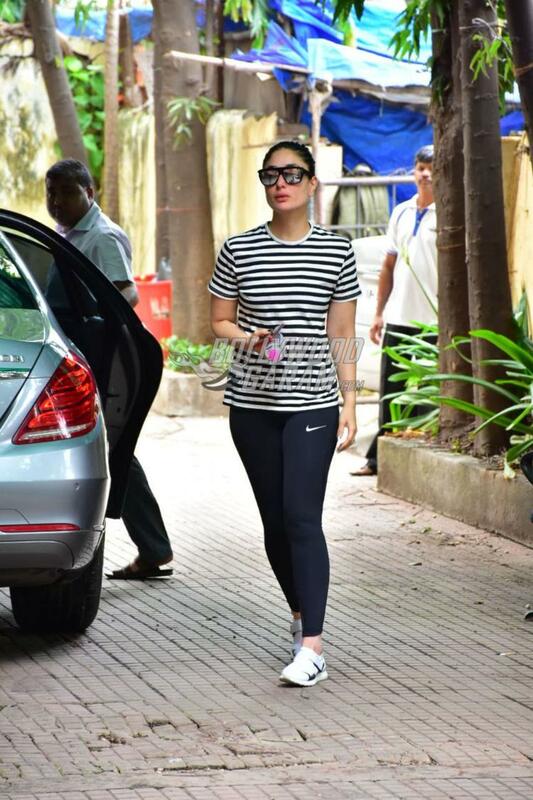 Malaika and Kareena were snapped outside their gym in Mumbai on August 7, 2018. 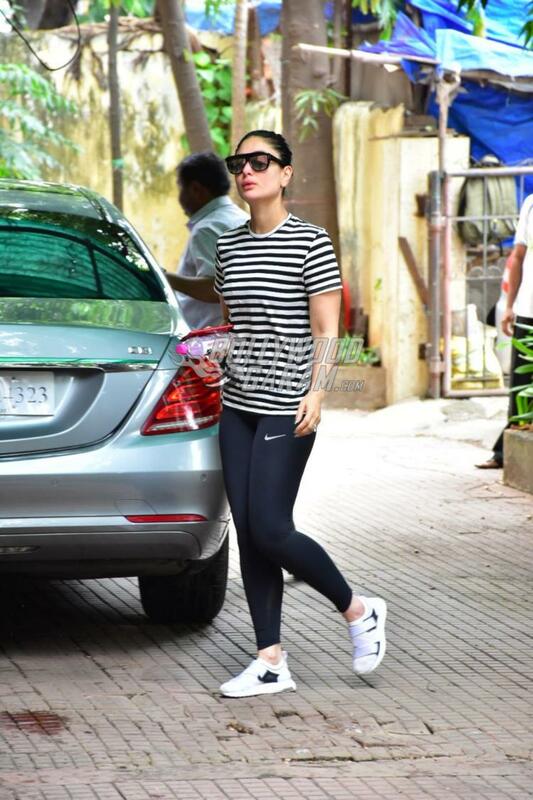 The Udta Punjab actress looked trendy in a white t-shirt with black stripes and dark blue workout pants. Malaika was seen in a black tank top and black yoga pants with a green jacket and her hair tied in a high bun. On the work front Kareena was last seen in the film Veere Di Wedding which was helmed by Shashanka Ghosh and was produced by Ekta Kapoor and Rhea Kapoor. The film also starred Sonam Kapoor, Swara Bhaskar, Shikha Talsania and Vicky Kaushal. Veere Di Wedding marked Kareena’s first film after the birth of her son Taimur Ali Khan. The actress will soon reunite with Akshay Kumar for the upcoming flick Good News. The film also stars Diljit Dosanjh and Kiara Advani in lead roles and is expected to go on floors soon.